The bad moun­tain roads com­bined with a com­plete lack of brakes on many vehi­cles re­sul­ted in a score of three Ital­ians kil­led, minor in­jur­ies to a cou­ple of our own men and the arri­val at GRA­VINA with ten vehi­cles mis­sing. The camp was the us­ual Ital­ian vine­yard four miles from town. The Regi­ment im­me­di­ately got busy with sig­nal cable and be­gan re­pair­ing the Mo­tor Trans­port. 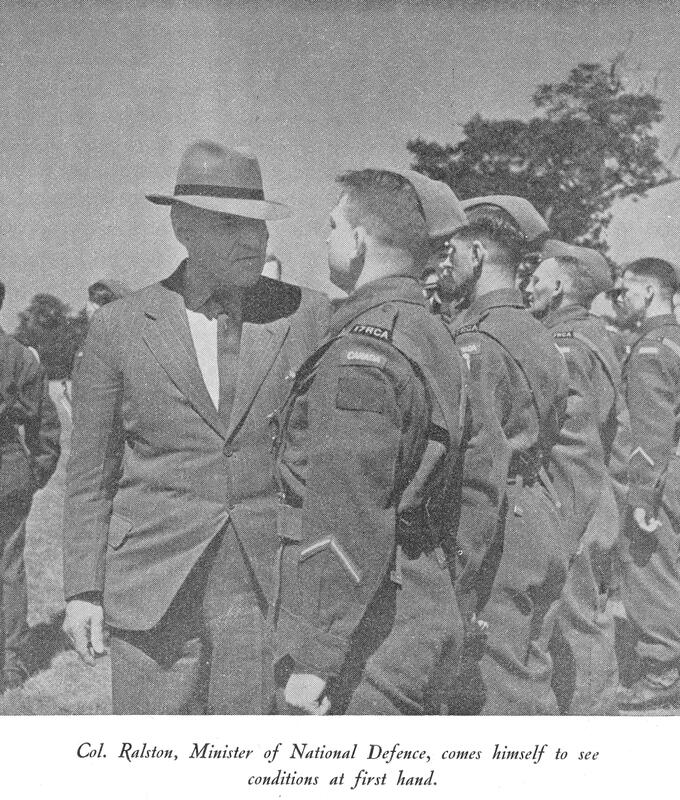 It was here that Col. Ralston paid his fifth visit to the Unit on the 1st De­cem­ber 1943. A few days later a move was made into the Town of GRA­VINA it­self with men being bil­let­ted in a Fas­cist school. An im­pres­sive guard mount was im­me­di­ately laid on for the Regi­men­tal Guard and Town Patrol. page 37. table of contents page 39.